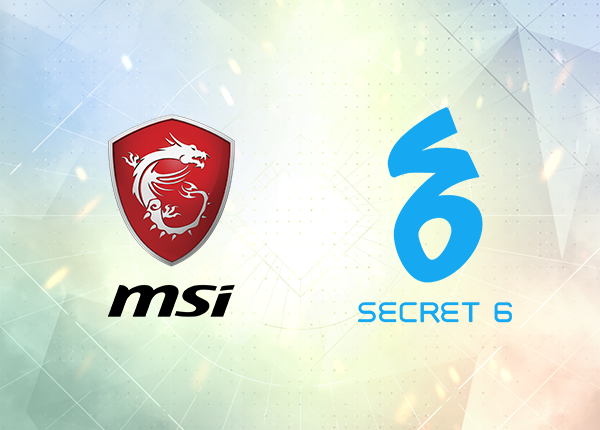 Secret 6 and MSI proudly announces another year of partnership in the Esports and Gaming Summit on October 26-28 at the SMX Convention Center, bringing about an experience of Project Xandata’s new weapons and skills, like no other. The determination to surpass past achievements has made MSI a ‘True Gaming’ brand with gaming spirit throughout the industry. MSI integrates extreme performance, realistic visuals, authentic sound, precise control and smooth streaming functions into its gaming rigs. Apart from years of dedication to top-end gaming hardware, MSI has also sponsored many esports teams worldwide and hosted world-renowned gaming events that established a deep bond with millions of gamers. Play Project Xandata to accomplish in-game missions and level up your Prestige Pass! Participate in the MSI Passport activity this ESGS 2018 to get a chance to win an MSI Gaming Notebook! MSI, together with Project Xandata, will once again provide the smooth experience of fast-paced gameplay and extensive customizations during ESGS 2018. In addition to this, there are many prizes to be won when you tune in to MSI Hour, complete missions on your Project Xandata Prestige Pass, and participate in the MSI Passport— where you could win an MSI Gaming Notebook in the grand draw. Check the MSI Facebook page for news on their products and check the MSI Passport post for more details! Follow Project Xandata Facebook and Twitter, and Secret 6‘Facebook and Twitter page for more event updates and details on the activities.